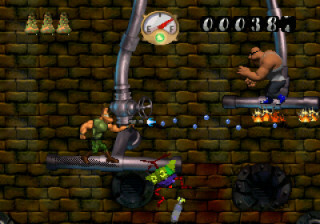 The game was in production for the SEGA Saturn. 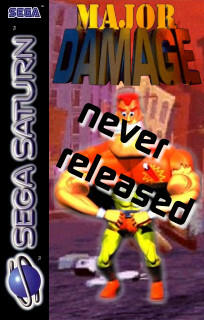 Then SEGA discontinued the platform. Since the project was nearly complete, we pitched it to Sony, who declined it. Sony probably declined it because our game very closely resembled Blasto.